* Our children also participate in LOTE classes, they are currently studying Japanese. 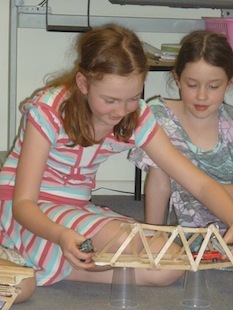 Yanginanook uses an integrated learning approach. This means that the topic area chosen for the term is incorporated into all the Key Learning Areas listed above. Students study each topic in depth and altogether. We have found that this approach stimulates the learning environment and encourages students to develop a natural love for learning. Lessons flow from one-to-another and students receive a comprehensive education on each topic. 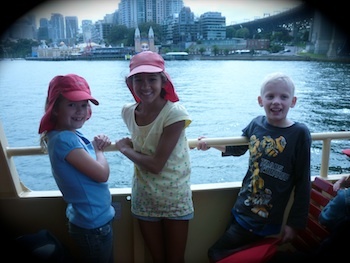 Our approach also offers the flexibility to cater for the interests of the children. Students can choose a specific area of each topic to study in greater detail and can then present and share their researched findings to the class in a variety of forms, e.g. PowerPoint presentation, imovie, poster or speech. The school's curriculum is diversified to ensure that the differing needs of all our students are met. Individualised accommodations and adaptations to the curriculum also occur to cater for students who are gifted or struggle in certain areas of their learning. Mathematics and English activities are highly structured and are designed to meet the individual abilities of each child. All lessons include modeled, guided and independent activities so that all children have the opportunity to excel. Learning experiences are further consolidated through specific school excursions and intricate hands-on learning experiences and experiments. These occur frequently because we are a small school with extensive resources available. Above: Giorgia sharing her Sea Plane project to the class. Below: Gabi testing the strength and functionality of her paddle-pop bridge designed for matchbox cars.